What's a Co-op? Why Join? 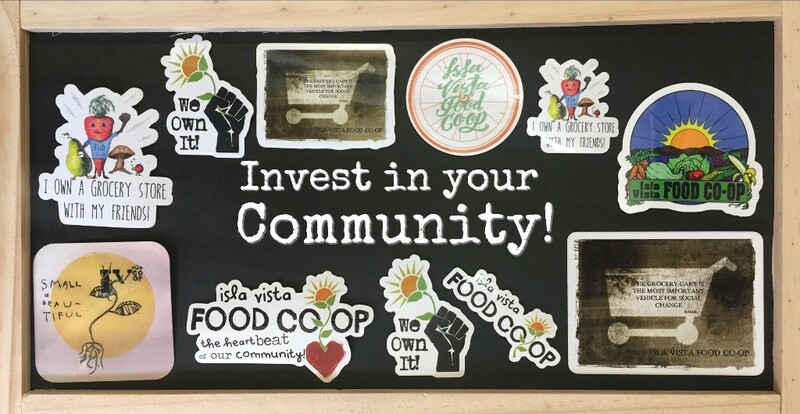 The Isla Vista Food Cooperative is pleased to offer small financial and in-kind donations to a variety of local community groups through our Heartbeat of the Community Outreach and Donations Program. The purpose of this program is to serve the general welfare of our members and of the public by providing assistance for projects aimed at the betterment of the community. Please familiarize yourself with the different types of donations we offer before filling out the donation request form. 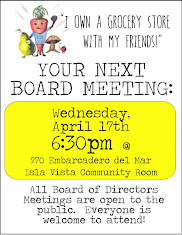 Please email outreach@islavistafood.coop with your detailed and timely request. Due to a high volume of emails, please allow 3 days for a response, and 5 days if you request is sent over the weekend. Gift Card or Product Donation: Most of our support is provided in the form of Co-op Gift Cards, generally $50.00 or less. These can be used to purchase goods from the Co-op, snacks for meetings, handouts for information tables, as door/raffle prizes, as fundraising auction items (etc.) Occasionally we are able to fill requests for donated products or other items. Please have in mind exactly what you are looking for. 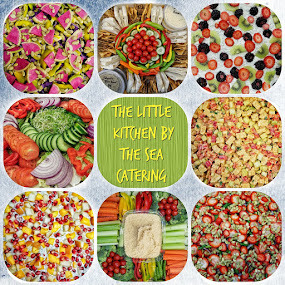 Food Sourcing: We are sometimes asked to help coordinate food for larger events. Even if we are not donating the food itself, assisting in the planning process can be time consuming and is thus considered a donation. 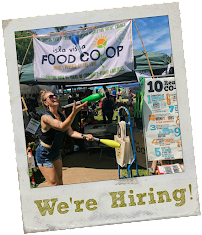 Wholesale: The Isla Vista Food Co-op Wholesale Donation Program is a resource that allows you to offer participants of your larger-scale event high quality food at a significantly reduced price. This program is defined by the ordering of case and bulk-bag quantities, rather than off-the-shelf retail purchasing. Please allocate at least one-month notice for these requests, as they require special ordering, preparation, and coordination. The Co-op is happy to work with you to help plan wholesale food donations, but you MUST schedule a planning meeting with our Marketing Manager no less than one month prior to your expected event date. You also must have access to email and Microsoft Excel to be eligible for Wholesale Donations, as this program relies on these methods of organization. 2. Your request must be made at least three weeks in advance: We have a limited monthly donations budget that we allocate on a first come, first serve basis. It is therefore in your best interest to submit your request as early as possible. 3. Your event is well organized: Please help us to make our time meaningful by being well prepared. 4. IVFC Recognition: In exchange for our donation we ask that you recognize us in the following ways, as applicable. 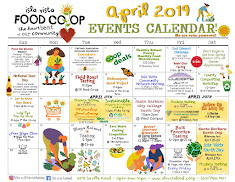 Please use our full name, the Isla Vista Food Co-op, in all official references to our business. We love sharing our "Isla Vista" Pride! 5. If we are unable to accommodate your request: Unfortunately we are not able to accommodate all donation requests. If your request is not fulfilled we will do our best to assist your cause by offering you a 10% discount on your purchase. Click to download your events calendar! 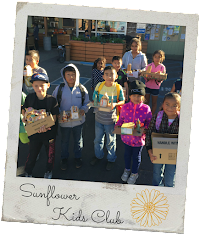 Is Your Kid a Co-op Sunflower Kid? In Store Fun Awaits! Click the image to learn more! 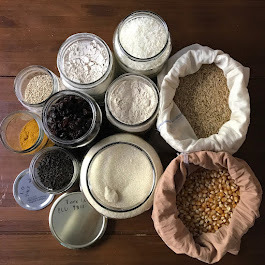 Get Every Day Low Prices on Your Pantry Stocking Basics! Click above for more information about Co+op Basics Every Day Low Prices! solve your PLU mystery here! What is National Co+op Grocers? 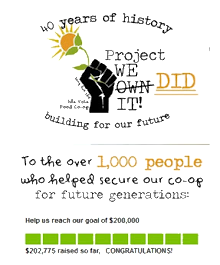 From in-store Co+op Deals and Co+op Basics, to organizational support, national-level advocacy and global-level change, click to learn more about the business services cooperative that's helping our food co-op movement be stronger together! Past Sales Fliers, Events, Updates and More!